Y3 Apartments is set in Gloucester, 5 km from Gloucestershire Royal Hospital. Winfield Hospital is 6 km away. Free private parking is available on site. The accommodation is equipped with a seating area. 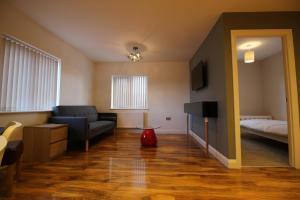 See all Y3 Apartments reviews..